. 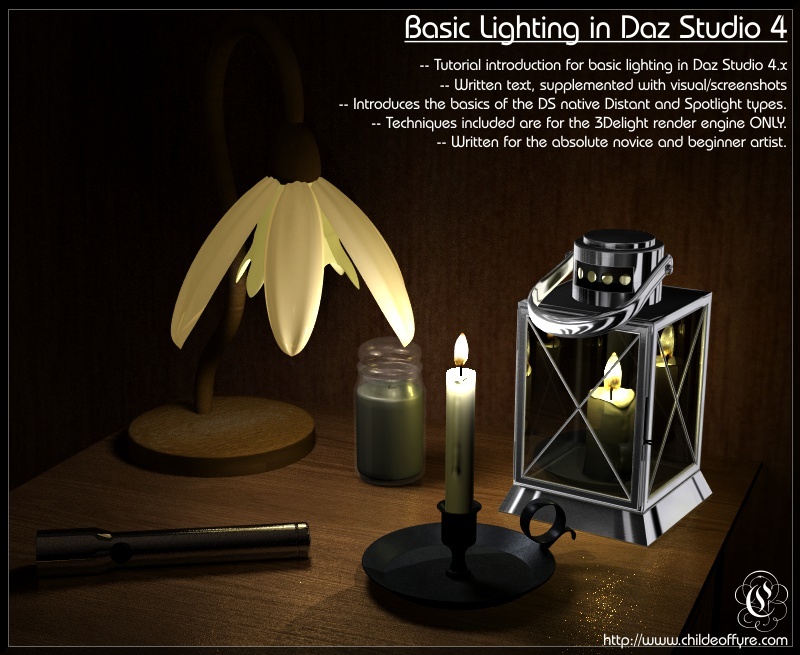 :: Tutorial : Basic Lighting in Daz Studio 4.x ::. This is a tutorial for using distant lights and spotlights in Daz Studio 4.x. -- Introduction to using the default Distant Lights in the 3Delight engine. -- Introduction to using the default Spotlights in the 3Delight engine. thanks to Sanbie and SkyLab's assistance in turning my forum posts into these formats.